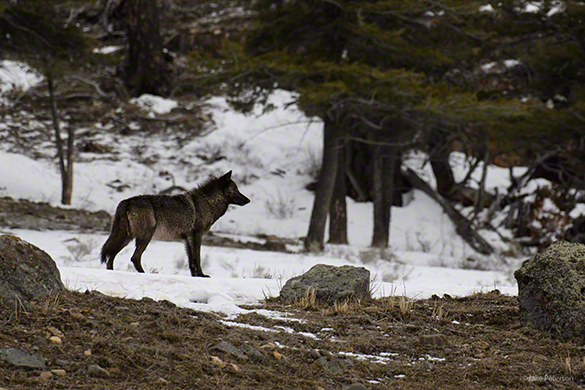 I love using the Gray Wolf as an example for this topic because for me it is the very definition of persistence. Since I decided to become a photographer I have wanted to get one truly great shot of a Gray Wolf. The species lives in Montana and is most often photographed in Yellowstone, which is mostly in Wyoming and isn’t far away. For years I have made improvements, like this image taken last winter, but I have still not gotten that one image. Persistence is what it takes to get that one great shot. Persistence can mean many things when you start to think about the actual activity that goes into being persistent. Whether it’s studying more, practicing more or my favorite, spending more time in the field. All of these make up being a persistent photographer. Luck is always a factor but it cannot be relied upon. You can’t control it or unleash it when needed. You could say it’s part of being persistent, that eventually your luck will increase but if you’re truly being persistent then time will reward you.